Tony Lossano, etc. : Dibs! This Is Chicago. Fair Warning. Dibs! 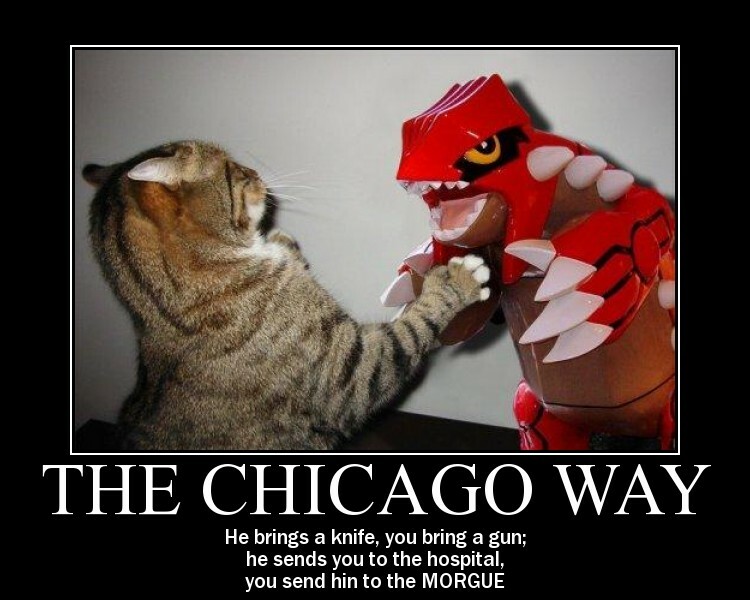 This Is Chicago. Fair Warning. Snow is a big deal here in Chicago. So when we get a huge storm, moving the snow is a very serious task. 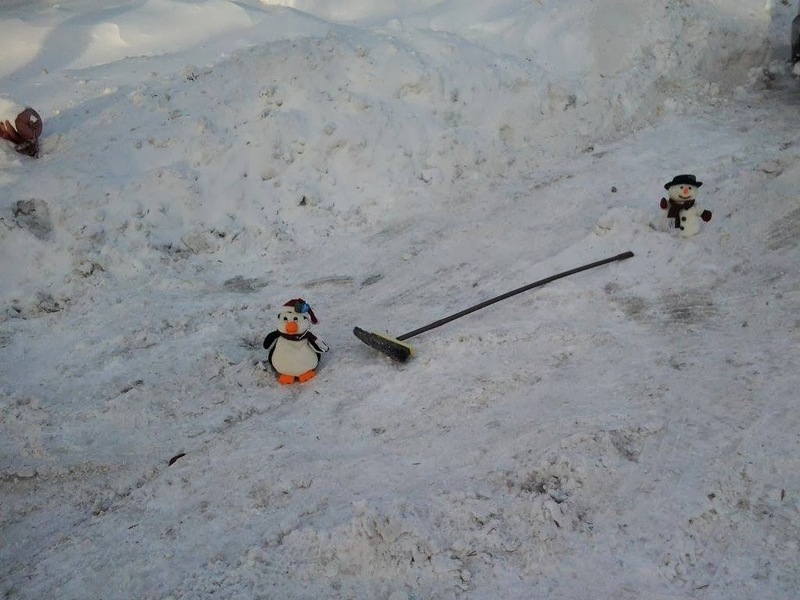 Chicagoans are busy digging out from all of the snow. 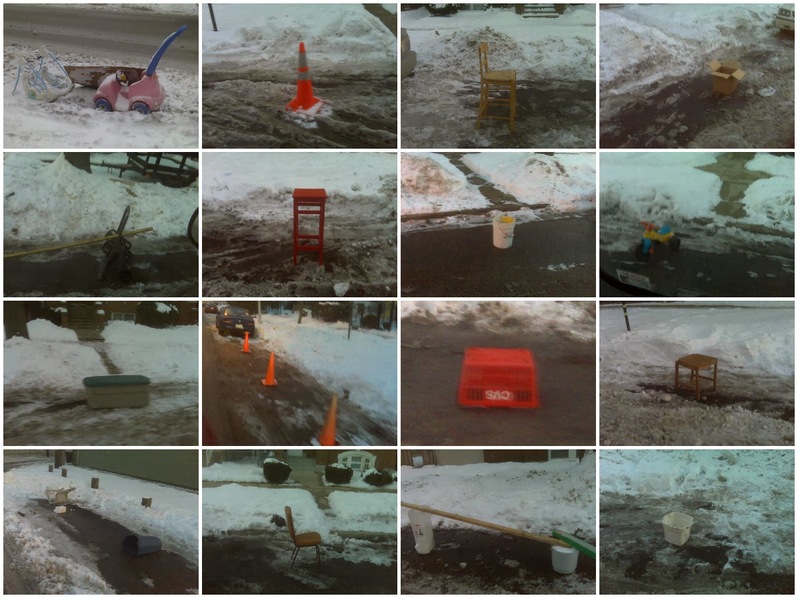 For as long as I could remember, people here in Chicago have placed random junk out onto the streets, to save their shoveled out parking spots. We call that DIBS! 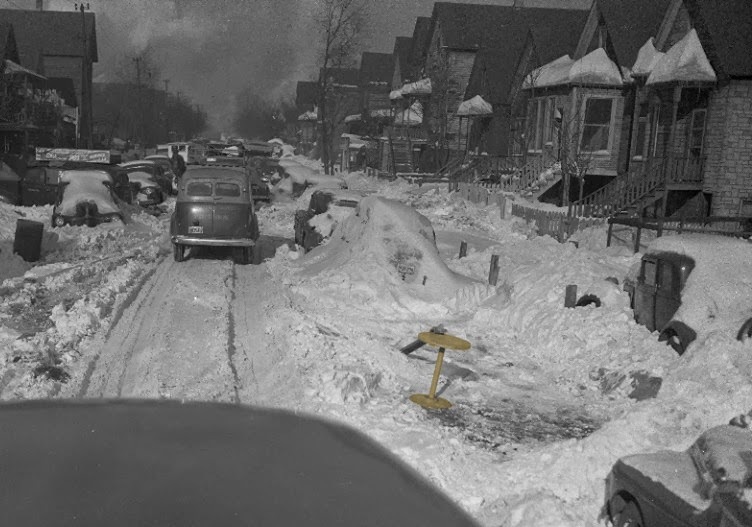 In 1951, a large wooden spool, seen here, on a Chicago street. 1) I respect the fact that someone had to shovel out their own spot and I would never imagine even parking there, even if there wasn't lawn chairs sitting there. 2) I am against people leaving their garbage on the streets, forcing me to shovel out my own spot! I love seeing what people leave out on the streets. I think that there should be a reward for the most creative selection. It makes the unpleasant ride through the snow, a bit more enjoyable. Various items that I saw out on the streets of Chicago. "It appears that hoarders are having a sidewalk sale, but on the streets!" "People who shovel out their own parking space, have no rights, and I do mean no rights to anything. They should all be deported to Wisconsin!" "Children should be used to save parking spaces, ensuring that the spots won't be held hostage from others for too long!" Or something like that...as I may have misquoted him a bit here, but I was paraphrasing, that is, if paraphrasing also means 'making stuff up'. I am sure he has some valid points, I just haven't really read any yet. 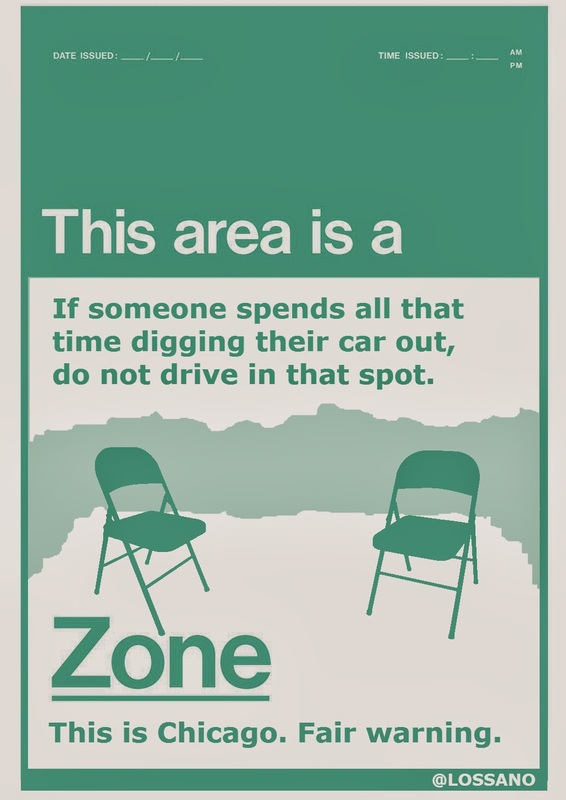 A while ago, there was a silly campaign, where you could print a flier out claiming that; This area was a Chair-Free Zone! This sounded like a bunch of suburbanites who might not understand the way things are done here in the big city. Feel free to print this and place it onto your dibs out on the street...then tweet me a pic. "It's a Chicago winter tradition to save your street parking space with a lawn chair, or an old My Little Pony 3-wheeler."